Rio Ferdinand is one of the most iconic players of Manchester United of the past decade as he spent 12 years performing with the Premier League where the Englishman managed to win the UEFA Champions League back in May of 2008 and the Premier League title on 6 different occasions. Manchester United and Arsenal have one of the biggest and well-known rivalries in the Premier League. It comes as a huge surprise to find out that an iconic Manchester United player such as: Rio Ferdinand was actually interested in joining their rival team but it was indeed confirmed by the Englishman himself as Ferdinand stated that he actually reached out to Arsene Wenger with hopes of joining Arsenal but a transfer was never completed. Despite leaving Manchester United, Rio Ferdinand still had desire to continue performing but it wasn’t going to happen at Old Trafford as the player was reaching an elevated age that was starting to become an obstacle when performing in such a high pressure and fast pace environment such as the Premier League. A few days ago, Ferdinand revealed that he did indeed attempt to talk with Arsene Wenger about the possibility of joining Arsenal as he was asked during a twitter questions and answers session. 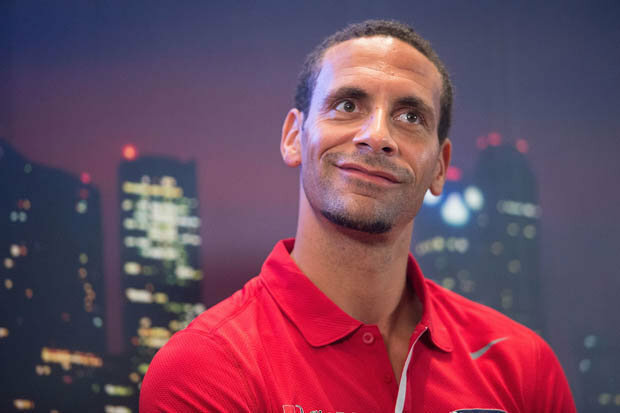 It seems like Arsene Wenger was not interested in signing Rio Ferdinand during that time or maybe something occurred which made it impossible for the veteran defender to join Arsenal as a deal never occurred.